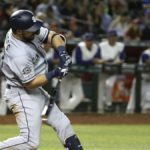 Padres Have Options at 2B/3B in 2018, But Who Will Start? The Padres ended 2017 with four players on the roster that are capable of playing second base regularly for the team. Those four players include Yangervis Solarte, Cory Spangenberg, Carlos Asuaje, and Jose Pirela. For the 2018 season, only three of those players will be in discussions of playing second base. The exclusion being Pirela, as he solidified himself with a solid 2017 campaign in the outfield. On top of Solarte, Spangenberg, and Asuaje, the Padres have middle infield prospects rising through the farm system. Luis Urias has done nothing but show advanced hitting and fielding tools at every level since the Padres signed him out of Mexico in December, 2013. Last season in Double-A ball, Urias slashed .296/.398/.380 for the Missions. Urias has shown tremendous plate discipline. 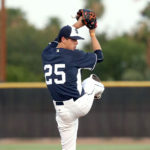 Last season he walked 72 times compared to 65 strikeouts. Urias will definitely receive an invite to major league spring training, but will likely start the year in Triple-A. If he continues to do what he’s done at the plate in Triple-A, he could be a likely call-up during the 2018 season. Before Urias is ready, the Padres need to decide the best course of action with their second base/third base logjam. 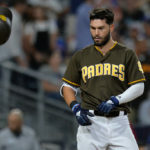 There is a chance the Padres deal one of the three during this offseason, which would leave the other two to start at second base and third base respectively. 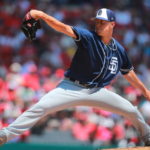 There is also a chance the Padres don’t trade any of the three and field a committee at the positions during the season, potentially trading one at next years’ trade deadline. If all three remain on the opening day roster, it will be interesting to see who is manning second and third on opening day. Asuaje probably has the best defense of the three, but is no perennial gold glover. Asuaje is also much more suited for playing at second instead of third, and fits the prototypical second baseman: smaller stature, limited power, decent speed, good contact, and good plate discipline. 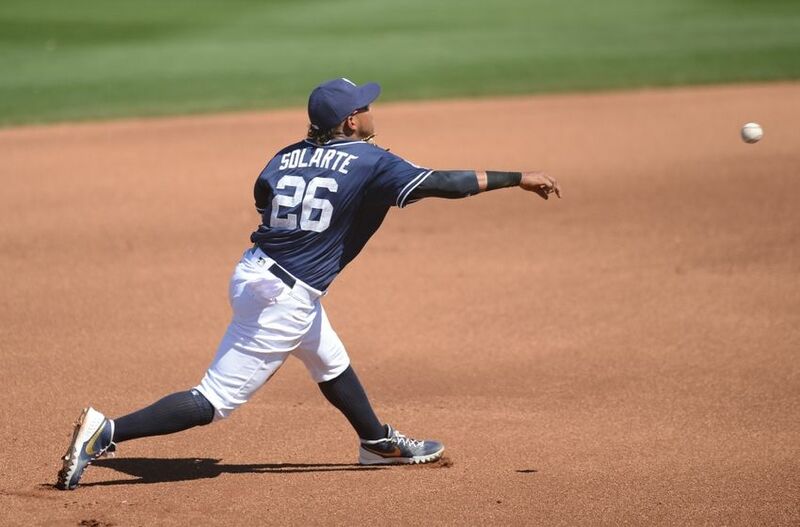 Solarte is an average defender at both second and third base, and could start at either position on opening day. 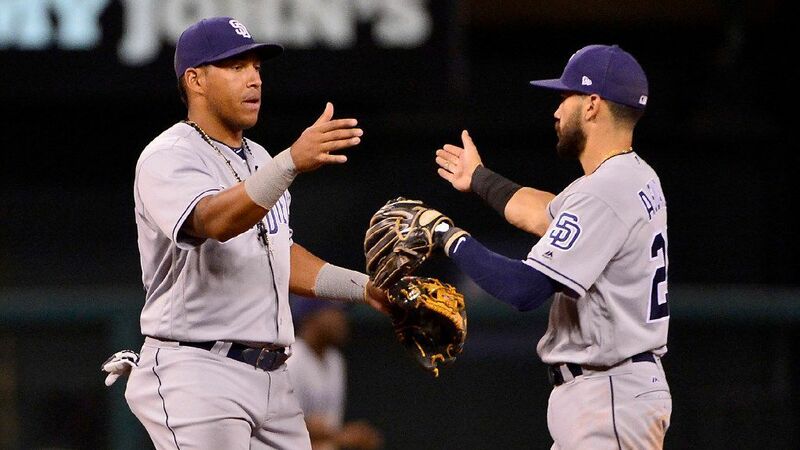 Spangenberg is better suited to play third base, although he is nothing special with the glove there. Glancing at the trio’s production last season and overall future upside, there is no real outlier among them, but let’s do it anyway. Spangenberg opened the 2017 season on the outside of the 25-man roster. Cory reportedly was livid with the decision, but clearly channeled the anger into production on the field. 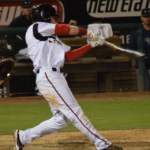 He hit .348 over 17 games in Triple-A and quickly earned a promotion back to the Padres. 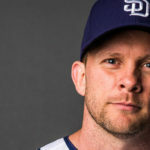 Ryan Schimpf, the Padres opening day starting third baseman, struggled mightily and was sent down to the minors. Spangenberg settled in as the Padres’ everyday third baseman after Schimpf’s demotion. Last year, Spangenberg slashed .264/.322/.401, across 444 at-bats in the majors. Cory also flashed some power and speed on the basepaths with a career high 13 homers and 11 stolen bases. He also added 57 runs, 46 RBI, and 18 doubles. Considering Spangenberg posted career highs in nearly every offensive category and is only 26 at the moment, the Padres may have a tough time trading him for a sub-par package in return. 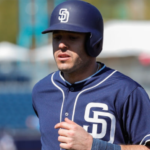 The Padres 2011 first round draft pick showed a lot of positive signs and potential during the 2017 season. Although Spangenberg was productive offensively in 2017, he has a strikeout rate of 26.3%. Spangenberg posted a 1.4 offensive WAR, but struggled defensively with a -1.5 WAR and a -14 runs saved above average. The thing I like about Spangenberg was that he hit for more power than expected with his 13 homers and 18 doubles over 444 at-bats. On top of the decent power he showed, he hit for a decent .264 average, and stole 11 bases. He has the tools to make things happen offensively. Spangenberg is also a left-handed hitter, which the Padres need in their lineup. 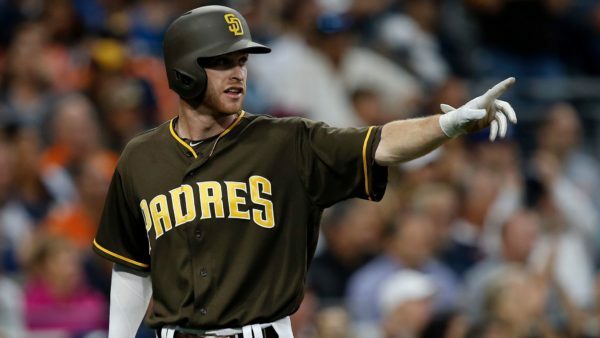 2018 could be a breakout season for Spangenberg. This would be incredibly valuable to the Padres, whether he is a big part of their future as a starter, or a in a utility role. If not traded, I see Spangenberg as the Padres’ everyday third baseman next year. Sockers Take Game 1 of Pacific Division Final Against Tacoma 6-3.